Doug Simon realized his childhood dreams and became a chef in 1989. 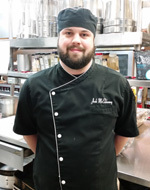 He graduated from Johnston & Wales University in Providence, RI, with a Bachelors degree in Food Service Management and an Associate of Science degree in Culinary Arts. Previously, he earned a Bachelors degree in Economics with a minor in Philosophy from Emory University in Atlanta, GA. Chef Simon's training includes his work for The Park Hyatt Hotel in Washington, D.C., as well as at Stouffer's Top of the Sixes in New York City. He has had numerous opportunities to travel and work with some of today's most well known chefs. Victoria Mirenda has been planning special events since she moved to Altoona. 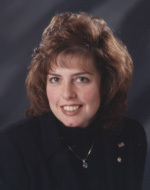 As a former business owner, school volunteer, charity fundraising chair or community service advocate, Vicky brings her unique ideas and passion for creating successful events to her role as General Sales Manager and Special Events Coordinator for The Casino and Snappy Chef Catering. Vicky oversees our entire sales team, coordinating each area of sales in our growing business. But she places special emphasis on wedding coordination, a passion she's had for as long as she can remember. Vicky grew up outside of New York City. She is a graduate of Concordia College with a Bachelor's Degree in Business Administration. Vicky smiles as she states, "I feel like I have been coordinating special events all my life!" From the evaluations we get from her brides, they think so too! The Casino's Executive Chef has had a love affair with cooking since he was a child. Growing up on a farm and eating only what his family grew, his excitement about food started there. His passion for food led him to the culinary world. Josh graduated from Le Cordon Bleu, Pittsburgh , PA, with an Associates of Science Degree in Culinary Arts. Classically French trained, Josh has worked in every sector of the industry from hotels and fine dining to hospital and senior care. Today, the banquet side of the industry has captured his heart. Although he loves to cook and eat spicy cuisine, he truly enjoys the challenge of developing and executing special event menus.